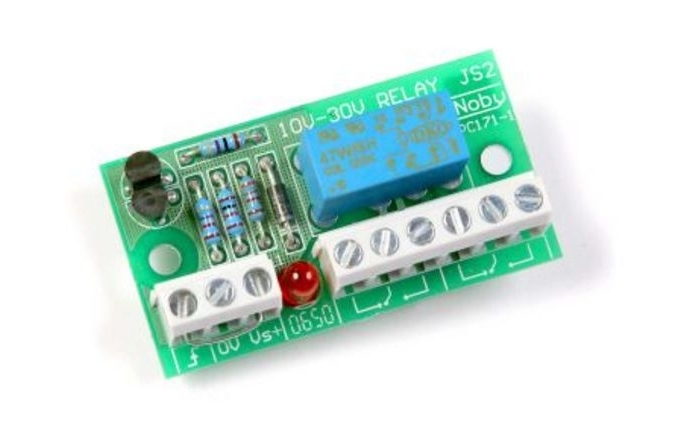 The Noby-21 Relay Module is designed for use in both 12v and 24v alarm systems. The DPDT voltage-free contacts permit switching of two independent circuits. Bridging the two contact sets together creates an effective single contact with a switching capacity of up to 4 amps. 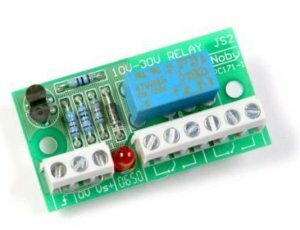 An on-board LED displays the activation state of the relay. Two adhesive mounting pillars are supplied with the Noby-21. switching high currents directly from the battery (via an in-line fuse). signal isolation between various parts of a system operating at different voltage supplies.